Baghdatis reached the finals of the Australian Open and semifinals of Wimbledon in 2006. 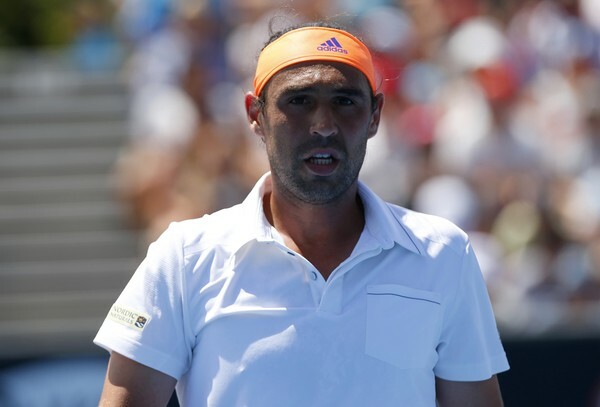 Former star player, hot head, YouTube sensation: these are titles Marcos Baghdatis of Cyprus could not want to steer away from more. At the 2012 Australian Open, the former finalist would become world famous not for his on-court performance with a tennis racquet, but for what he did to “four” of them. In a 7-6, 6-4, 5-7, 6-1 second round loss to 2014 champion Stanislas Wawrinka, the Cypriot had the ultimate meltdown during a changeover after falling down two sets to none; busting four racquets in row, including a brand new one he did not even bother to take out of the plastic sleeve. Since 2012, Baghdatis’ career has been on recovery mode. Although he has not finished a year outside of the Top 100 in a decade, the former world No. 8 is looking to find the same form that led him to the semifinals at the 2006 Wimbledon Championships and a finalist appearance in Melbourne at the Australian Open earlier that year before falling to Roger Federer 5-7, 7-5, 6-0, 6-2. 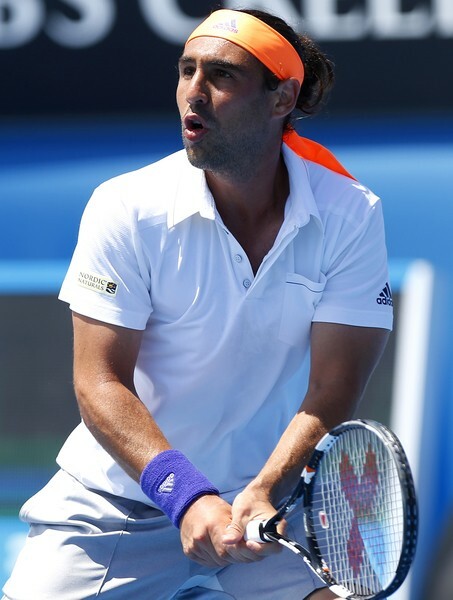 Entering as an unseeded player, Baghdatis began the 2006 Australian Open unexpected to make the second week of the tournament. He would then embark on a memorable run that saw the dismantling of three Top 10 players, No. 3 Andy Roddick in the fourth round, No. 8 Ivan Ljubicic in the quarterfinals, and fighting from two sets down to defeat No. 4 David Nalbandian in the semifinals. In his first and sole Grand Slam final, Baghdatis was riding high after two weeks of large local support from the Greek Australian community, starting off strongly with a set and a break up on Federer. Slipping on a chance to double break, he would eventually succumb to the all-time Grand Slam title record holder. As a baseliner, Baghdatis’ footwork and forehand have become his biggest weapons on the hard courts as he continues his comeback campaign in 2015. Since dropping outside of the Top 50 in 2013, he has seen some of his best results coming at the Challenger level, finishing 2014 with a 22-2 record and winning four titles, giving him ten career Challenger Tour titles. The Cypriot is the winner of four ATP World Tour singles titles with seven runner-up finishes, his most recent trophy coming at the 2010 Apia International in Sydney after defeating Richard Gasquet of France 6-4, 7-5. He has notched victories against top players such as Federer, Rafael Nadal, (both while they were ranked No. 1) Andy Murray and David Ferrer over the past five years. Prior to playing at the professional level, Baghdatis was a world No. 1 junior in 2003, winning the Australian Open juniors title and finished as a runner-up at the 2002 US Open, defeated by Gasquet, 7–5, 6–2, and a finalist in 2003 to Frenchman Jo-Wilfried Tsonga, 7–6, 6–3. He finished his junior career with nine titles. As Baghdatis heads into the US Open, one thing he can always claim is being one of the best Davis Cup players of the modern era. He has the longest winning streak out of all active ATP players that play for their respective nations with 32 wins in a row and the second longest streak of all time behind Bjorn Borg’s 33.